When a girl is given the opportunity to go to school, everything changes. However, a girl can’t do it on her own – it takes a village. 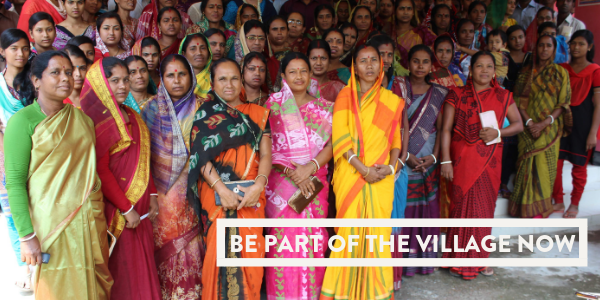 Entire villages get together in the areas where The Hunger Project works in Bangladesh to ensure that girls get educated. #ItTakesAVillage for girls to go to – and stay in – school. Without education, a girl remains stuck in a cycle of hunger and poverty. The Hunger Project works in partnership with 5.1 million people across rural Bangladeshi villages to transform harmful, traditional attitudes about girls – so that their lives are valued and they get the chance to be educated. 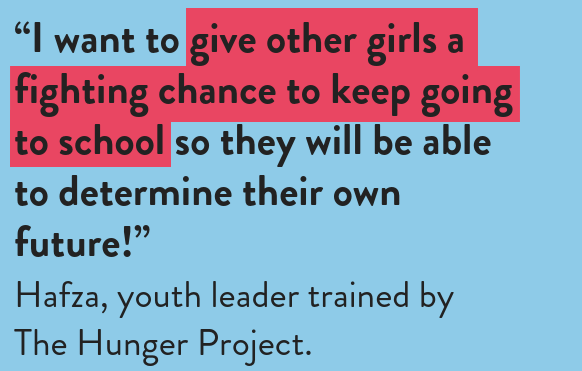 You too can band together to make it possible for girls to go to – and stay in – school. Will you join us?